21 May 1946 to Care & Maintenance status. Southampton Water with Southampton at its head. 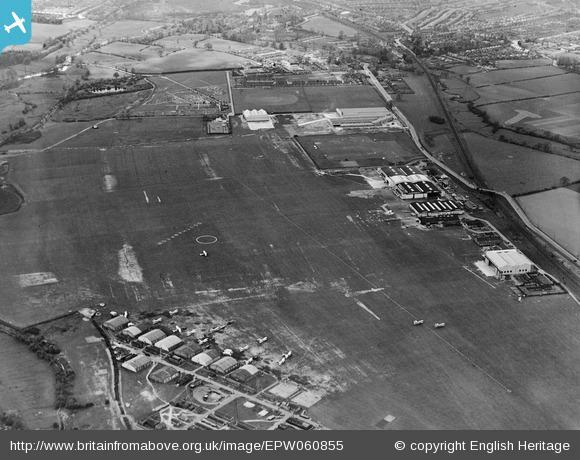 Southampton - Eastleigh road and railway form the W. boundary of the airfield. The Itchen Navigation Canal flowing past the E. boundary. Southern Railway station at Eastleigh, 1½ miles. W/T mast 240' on a 389' summit 5¾miles ENE. On N.E. side of the landing area. By the end of the war only one hangar remained. Reformed here 28.06.44 for development work with the Safety Equipment School equipped with Sea Otter, and Wellington aircraft. Formed at Eastleigh 01.07.39 (759 re-numbered), Moved to RNAS Arbroath 14.10.40. Equipped with Shark, Osprey, Proctor aircraft. Began forming at Eastleigh from 01.05.39 - intended as TAG Training squadron but renumbered as 758 instead 01.07.39. Formed at Eastleigh 01.11.39 as a Fighter School and Pool Squadron, Moved to RNAS Yeovilton 16.09.40. Initially equipped with 9 Skuas, 5 Rocs and 4 Sea Gladiators. Formed at Eastleigh 01.04.40. Moved to RNAS Yeovilton 16.09.40. Initially equipped with 4 Skuas, 2 Rocs and 1 Sea Gladiator. Formed at Eastleigh 02.10.39. Moved to RNAS Lee-on-Solent 07.10.40. Equipment included: Hart Trainer, Nimrod, Osprey, Proctor, Shark, Swordfish, Hornet Moth, Gypsy Moth, Tiger Moth. Operated Nimrod & Osprey aircraft. Operate from RAF Southampton while disembarked from the carrier HMS COURAGEOUS - various return stays 13.07.37 - 11.01.39 when the squadron embarked in HMS ARK ROYAL. Operated Shark and Swordfish aircraft. Sub flight 811A was formed at RAF Southampton 15.05.39, but was renumbered as 811 on 24.05.39 when the parent squadron was itself renumbered to 767 squadron. 811 officially formed at Eastleigh 01.07.39. Embarked in HMS COURAGEOUS 12.08.39. Formed at RAF Southampton 01/12/38. Embarked in HMS ARK ROYAL 11.01.39. Moved to Eastleigh from RAF Thorney Island 04.06.41. Moved to RNAS Abbotsinch 14.06.41. Operate from RAF Eastleigh/Southampton when disembarked from the carrier HMS COURAGEOUS - various return stays between 20.07.36 - 11.01.39 when it embarked in HMS ARK ROYAL. Operate from RAF Eastleigh/Southampton when disembarked from the carrier HMS COURAGEOUS - various return stays between 4.11.36 - 11.01.39 when it embarked in HMS ARK ROYAL. Operate from RAF Eastleigh/Southampton when disembarked from the carrier HMS FURIOUS - various return stays 27.05.36 - 23.01.37. Sub flight 822A was formed at RAF Southampton 15.05.39, but was renumbered as 822 on 24.05.39 when the parent squadron was disbanded and absorbed into the new 767 squadron (See 811 sqdn). 822 officially reformed at Eastleigh 01.07.39. Moved to RNAS Donninristle for 03.07.39, returning to Eastleigh on 12.07.39. Embarked in the Carrier HMS COURAGEOUS 12.08.39. Moved here from RAF Abingdon 17.01.38, embarked in the carrier HMS GLORIOUS the same day. Disembarked from HMS FORMIDABLE 21.12.41, moved to RNAS Lee-on-Solent 30.01.42. Personnel assembled at RNAS Eastleigh 12.11.41 prior to taking passage to RNAS Palisadoes, Jamaica where the squadron formed on 10.12.41. Personnel assembled at RNAS Eastleigh 15.01.42 prior to taking passage to RNAS Palisadoes, Jamaica where the squadron formed on 15.02.42. Personnel assembled at RNAS Eastleigh 01.02.42 prior to taking passage to RNAS Palisadoes, Jamaica where the squadron formed on 01.03.42. Personnel assembled at RNAS Eastleigh & RNAS Worthy Down 15.03.42 prior to taking passage to RNAS Palisadoes, Jamaica where the squadron formed on 01.05.42. Personnel assembled at RNAS Eastleigh 10.04.42 prior to taking passage to RCAF Dartmouth, Nova Scotia where the squadron formed on 15.05.42. Personnel assembled at RNAS Eastleigh 04.05.42 prior to taking passage to RNAS Palisadoes, Jamaica where the squadron formed on 01.06.42. Opened October 1st 1935 as RAF station Eastleigh for accommodation of disembarked Fleet Air Arm squadrons Renamed RAF Southampton on April 1st 1936. On May 24th 1939 administrative control of the Fleet Air Arm was transferred from the Royal Air Force to the Board of Admiralty and a small number shore stations were transferred to Admiralty control, Eastleigh was one of them. 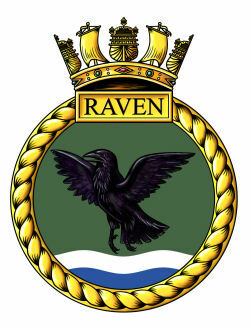 RNAS Eastleigh commissioned as HMS RAVEN on July 1st 1939. The site occupied a 10 acre area in the North East corner of the airfield and comprised of wooden hutted accommodation and 8 Bessaneaux wooden framed. canvas covered, hangars of First World War vintage. The civilian airport buildings and hangars were located on the far side of the landing area, along the Western boundary which was formed by the A335 and the railway line from Southampton to Eastleigh. and Syllabus of Courses, etc.